Do you have a plan in place to meet your year-end fundraising goals? Just imagine: the average non-profit raises over 40% of its annual revenue during the last quarter of the calendar year. And a full third (33%) of the donations made in December occur on the 31st of the month! 1. Take a deep dive into your donor database. Remember, all donors are not created equal. You’ll always make your biggest impact when you segment as thoroughly as possible. I first learned the power of segmentation in one of my earliest jobs, when I segmented our small donor base (less than 500) into eight different groups – and increased giving by 30%. Think beyond your Lybunts and Sybunts and Majors…think about segmenting by your donors’ reasons for giving. How are you moving up those donors who have given $25 – $75 every year — for the past five years? 2. Get closer. Create as many genuinely personal touches as possible. Begin now by connecting with your board members to learn who knows who. Then begin recruiting those members who can write personal sticky notes, make phone calls, meet one-on-one with donors, and make thank you calls. 3. What’s the first rule of direct mail? Get your envelope opened! And nothing quite piques the curiosity like a hand-addressed envelope. Recruit your board members and volunteers to hand address envelopes to your best donors. 4. How are you infusing gratitude and donor love into your year-end letter? Remember my mantra to always lead with gratitude and make your donor the hero (and, if you’re stumped on donor love language, here are 20 ways). 5. Find the one emotionally compelling story that will form the basis of your year-end campaign (and, depending on those segments, you may have more than one). 6. Who handles your website? Prepare now for rapid changes to your home page, donation page, and thank you page. 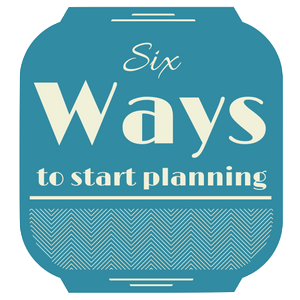 Incorporate these six tips into your year-end fundraising plan, and register for Supercharge Your Year-End Fundraising | Basics & More on Monday at Early Bird pricing! Previous post: What’s in my Mailbox | Now THIS is stewardship!